Since its inception in 2001, Wikipedia managed to completely transform the way we create and use encyclopedia databases. With the rise of internet infrastructure, cheaper computers and powerful mobile devices, entirety of the world’s knowledge is now accessible through Wikipedia for everyone. Amazing Free internet encyclopedia! It can safely be said, that there is no internet users who didn’t hear about Wikipedia, online knowledge database that is moderated by the army of over 35 million users, and who is visited by more than 10 times that number of people each day. 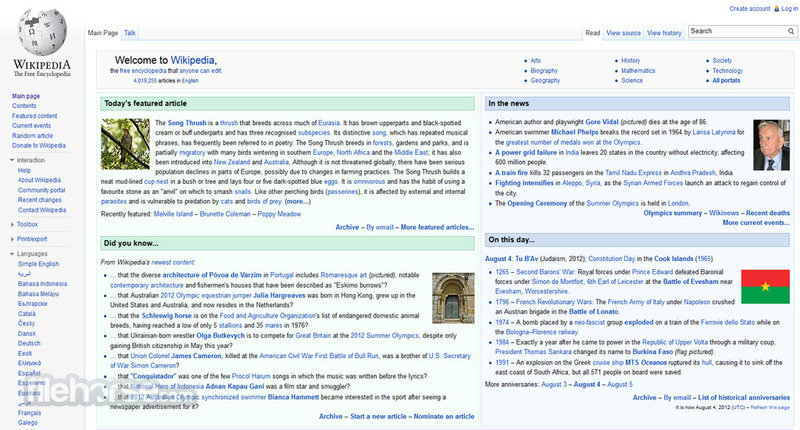 Such popularity came with a simple innovation of its founders – every article on Wikipedia can be modified by any users. This led to the fantastic expansion of content, which now covers every aspect of our lives, history and culture, but has also brought doubt about reliability and of its content. To fight that, small army of moderators keeps a close eye on all Wikipedia articles, ensuring authenticity and enabling users to continue maintain its up-to-date status. World’s largest and most popular encyclopedia! Internet enables instant collection of users from all around the world, and ability to collaborate on projects that can enable anyone access to incredible amount of data. This type of services initially started as individually-owned websites, blogs, but the arrival of websites that promoted user-generated content changed everything. Suddenly, power of the communities enabled creation of large databases that could be accessed by anyone, and one of the biggest successes of this movement was internet encyclopedia Wikipedia. 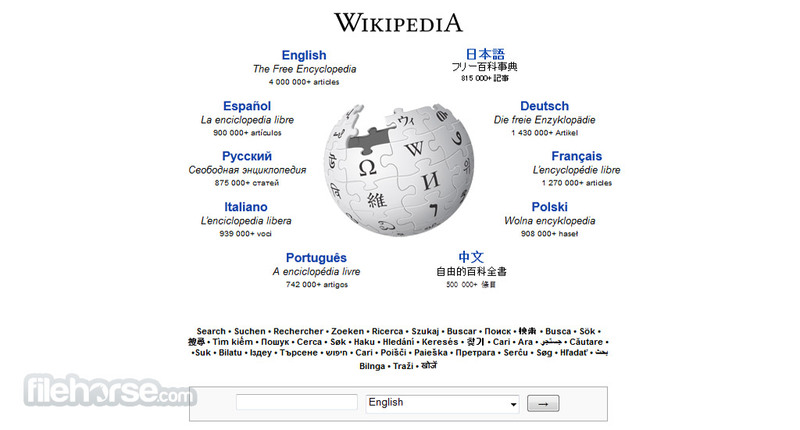 Established in 2001by Jimmy Wales and Larry Sanger as an extension of the free online English-language encyclopedia, Wikipedia managed to quickly became one of the most popular websites in the world. Wikipedia is a free internet encyclopedia that has managed to achieve incredible planetary popularity by enabling users themselves to insert and edit content in a well-moderated environment that tries to limit erroneous data collection, enforce simple text formatting and article layout templates, all with incredible focus on easy data recovery and discovery of relevant facts. This simple approach to database building quickly elevated Wikipedia project into one of the most popular websites in the world (6th most visited as of early 2014, being outmatched only by Google, Facebook, YouTube, Yahoo, and Baidu). Today, after more than 10 years on the market, Wikipedia represents one of the crowding achievements of humanity, and one of the shining beacons of internet ingenuity. No matter what is your research theme or question, Wikipedia will somewhere hold answer to it that can be found with a simple search. Over the years, one of the largest databases of human history in English language also got incredible support from users that use over 250 languages, creating from Wikipedia incredible resource of cultural heritage and historical data. This well-known database grows today with ever increasing pace, enabling more than 365 million regular readers ability to easily browse its 4.4+ million pages, engage with community, and provide their own insights that can be infused into its database. Wikipedia is a largest free internet encyclopedia that can be edited by anyone and accessed from any modern internet enabled device such as tablets and smartphones. 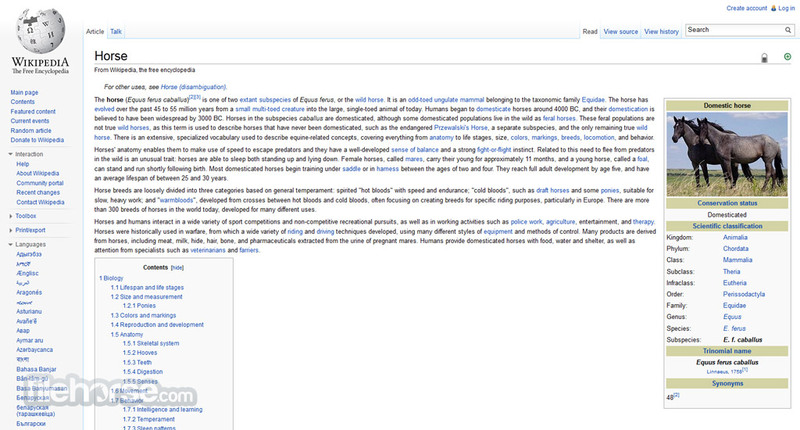 Interface of Wikipedia is today regarded as one of the most recognizable website themes in the world, with easy-to-use search engine and article layout that is focused on simple formatted black and white design. Most of the site showcases text-only articles, but many also have images, GIFs, links to videos, embeddable audio player, and more. Each article page is well organized, easy to browse, and scalable so it can be used on display of any size. Wikipedia can be browsed and enjoyed for absolutely free. However if you decide to make a user profile (there is already over 20 million users) you will get access to editing pages, uploading content and creating new pages. Site features no subscription fees, no in-site purchases and user accounts never expire. Wikipedia is without any doubt one of the best resources for any kind of online research. It hosts incredible amount of information, well-moderated content, great community and support for content in numerous languages. If you are student, researcher, teacher, or you simply want to get informed about anything. Great free internet encyclopedia!